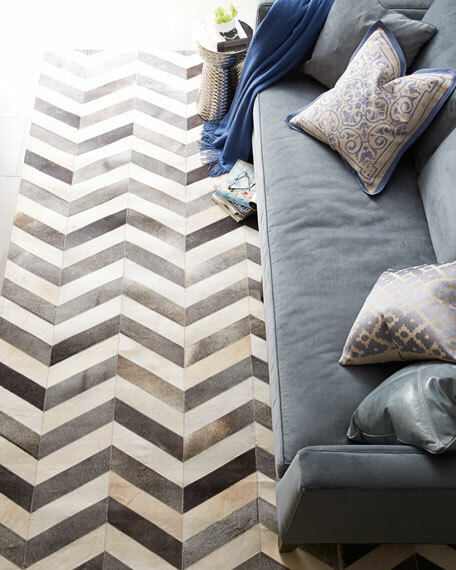 Rug has hand-stitched chevron pattern. 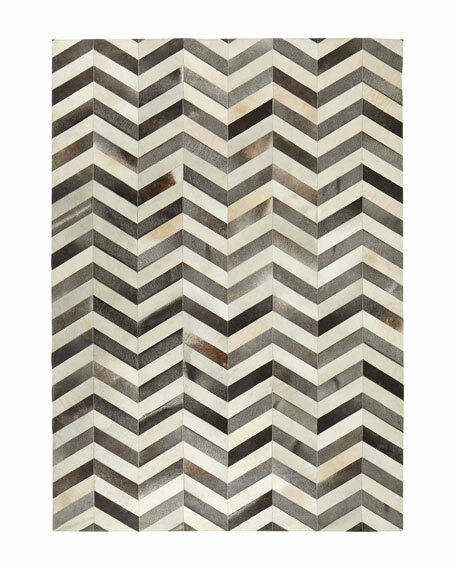 Each of our high-quality hairhide rugs is made from natural materials, and no two are alike. 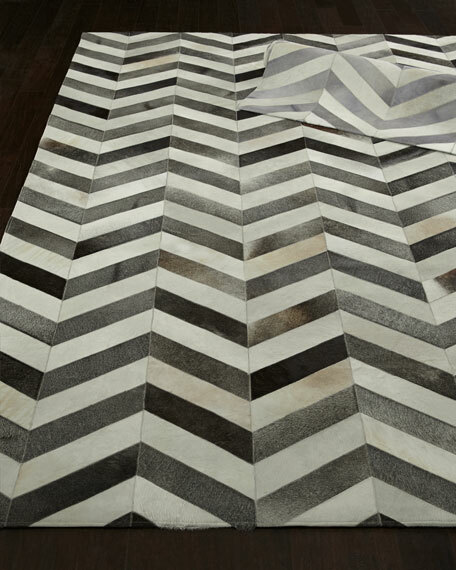 Unique variations in each hide add to the authentic look. 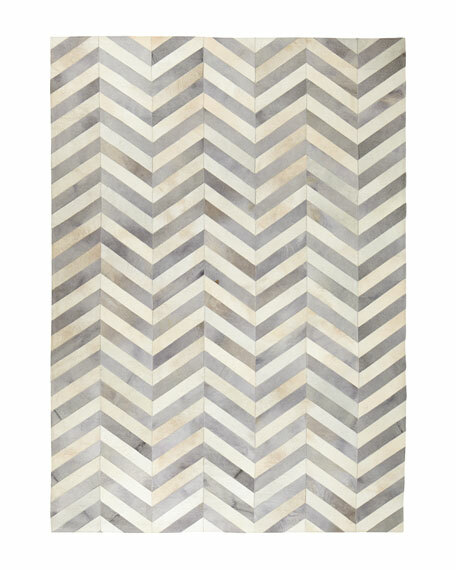 Exquisite Rugs Windsor Chevron Hide Rug, 11'6" x 14'6"